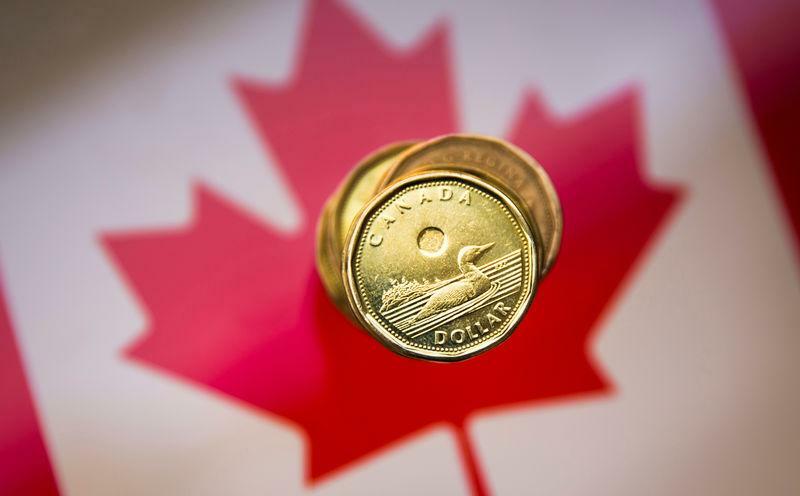 TORONTO (Reuters) - The Canadian dollar weakened to an 11-day low against its U.S. counterpart on Friday as the greenback broadly climbed and data supported the view of a slowing domestic economy that rules out further Bank of Canada interest rate hikes in the near term. At 9:47 a.m. (1347 GMT), the Canadian dollar was trading 0.3 percent lower at 1.3400 to the greenback, or 74.63 U.S. cents. The currency, which touched its weakest since March 11 at 1.3428, was on track to fall 0.5 percent for the week. The value of Canadian retail sales fell 0.3 percent in January from December, the third consecutive decline, pulled down in large part by weak auto sales, Statistics Canada data indicated. Analysts had forecast sales would increase by 0.4 percent. Separate data from Statistics Canada showed that Canada's annual inflation rate edged up to 1.5 percent in February but remained below the Bank of Canada's 2.0 percent target for the second successive month. "It is all consistent with a slower growth trajectory in Canada," said Andrew Kelvin, senior rates strategist at TD Securities. "They (the Bank of Canada) are on hold for a while." The Bank of Canada has hiked interest rates by 125 basis points since July 2017 but said this month that there is "increased uncertainty about the timing of future rate increases." Money markets see about a 50 percent chance of a cut this year. The U.S. dollar climbed against a basket of major currencies after a much weaker-than-expected German manufacturing survey pressured the euro. The price of oil, one of Canada's major exports, fell further from 2019 highs as focus shifted to a lack of progress in U.S.-China trade talks. U.S. crude oil futures were down 1.4 percent at $59.17 a barrel. Canadian government bond prices were higher across the yield curve in sympathy with U.S. Treasuries and German Bunds. The two-year rose 8.5 Canadian cents to yield 1.557 percent and the 10-year climbed 54 Canadian cents to yield 1.605 percent. The 10-year yield touched its lowest intraday since June 2017 at 1.600 percent.